As I mentioned in my previous post where I shared a recipe for vegan Christmas pudding, I attended an exclusive blogger event hosted by John Lewis at the Waitrose Cookery School near Finchley Road. 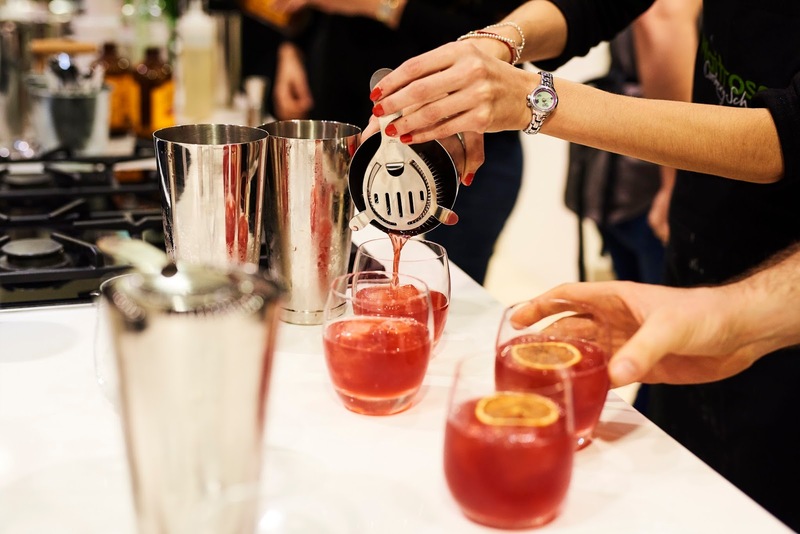 At the event, I learned how to make the delicious pudding, enjoyed a masterclass on how to make a festive negroni cocktail, and got to enjoy a beautiful vegan and gluten-free Christmas dinner. 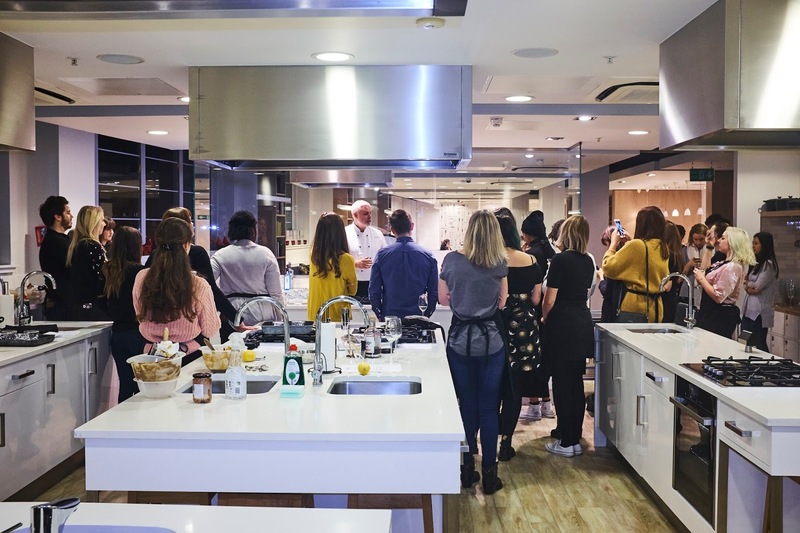 The event brought together vegan, gluten-free and lifestyle bloggers, and it was great to meet new people and catch up with a few of familiar faces. The event began with a welcome drinks reception where prosecco flowed and we were given a chance to chat, relax and mingle. 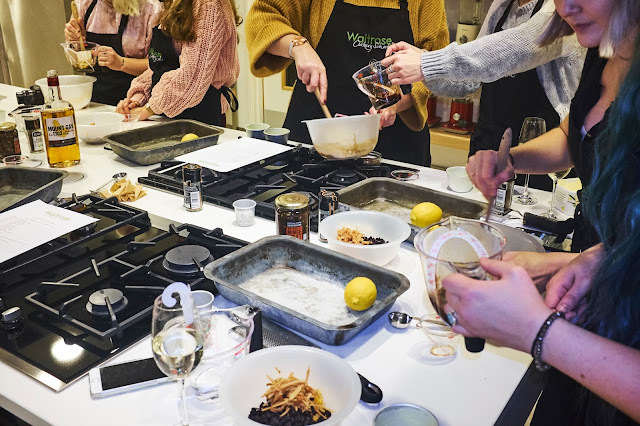 Soon after, the John Lewis and Waitrose Cookery School team introduced themselves and split us up into three groups for the Christmas pudding making session - vegan, gluten-free and traditional. Working in pairs, and with all the ingredients provided, we had a go at making our individual sets of Christmas puddings. Once the puddings were in the oven baking, we then moved on to the cocktail making. Not only did we get to see the process, but we had a go at making some ourselves. With drinks in hand, the lovely team then came round with a selection of canapés, including mouth-watering tandoori cauliflower wings and sweet potato sausage rolls. Finally, we were treated to an all-vegan, all-gluten-free Christmas dinner. Although the term referred to it as a 'light dinner', it was anything but! The gorgeous spread featured crispy roast potatoes with maple glaze, whole onions stuffed with wild mushrooms, marsala brussels sprouts with chestnuts, roated rainbow carrots with pine nut sauce, and Italian-inspired masterpiece of creamy polenta mash topped with aubergine, lentil and roasted squash ragu. To the talented chef who put this creative spread together, all I can say is: it was heavenly. The night came to a natural close and we were presented with our Christmas puddings, which the team had put into cute cake boxes for us to take away (after taking gorgeous photographs of each type). And that wasn't all we got to take away, as we were also gifted with a tote bag filled with John Lewis goodies. It was a night to remember and I enjoyed every bit of it. It's only mid-November but I'm ready to crank up those Christmas tunes! Don't forget to check out the recipe for the Christmas pudding here. 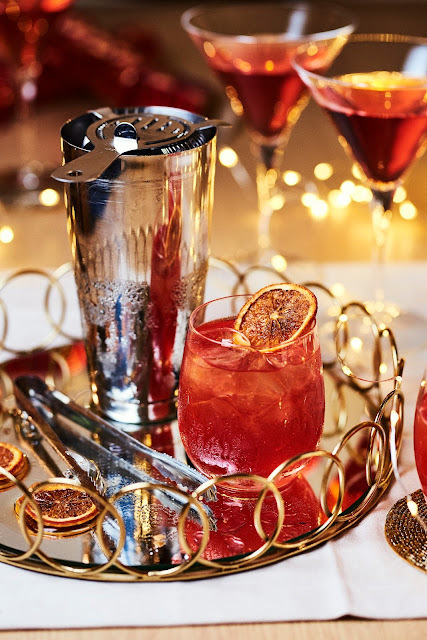 For more Christmas inspiration, visit the John Lewis Christmas shop here. Sounds like a fun time! I'm new to your blog and LOVING it! I came here to check out your Vegan Nigerian Groundnut Soup post but have been thumbing thru more and more blog entries! Hope you don't mind if I link you and visit more often! Always like 'meeting' fellow veggie bloggers!